Today I bring you five websites with free worksheets that you cannot miss if you want to encourage reading skills on your young learners. Enjoy! 1. Scholastic Printables: With more than 800 reading comprehension worksheets, this is your one-stop-shop for grades Pre-K-8. 2. Worksheet Library: This is one of the most comprehensive worksheet resources you’ll find. You can download and print generic comprehension worksheets or choose from 13 book-specific collections that come with quizzes, open-ended questions, vocabulary reviews and more—all on a book and chapter level. 3. ReadWorks: With a free ReadWorks account, you have access to hundreds of reading comprehension worksheets, all of which are tied to Lexile level, grade level, text type, skill/strategy, and domain—Life Science, U.S. History, etc. 4. Reading Resource: Download these free printable worksheets created by educational professional Allison Fryer. Choose from a handful of “Starfall” worksheets, along with book-movie comparison sheets and metacognition diary templates. 5. 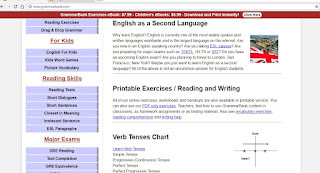 English Worksheets Land: This website, with more than 25,000 CCSS-aligned worksheets, offers both free and locked (only accessible with an upgraded account) reading comprehension worksheets. 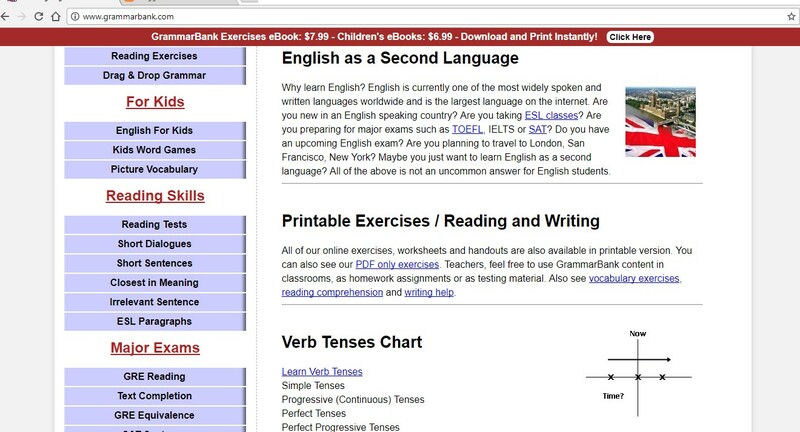 Today I want to review an awesome resource bank for our lessons: grammarbank.com. This is a website full of useful resources, from worksheets, to multiple choice tests and reading exercises. It gives you the possibility to download printable pdfs. All of their online exercises, worksheets and handouts are also available in printable version.Teachers can use use GrammarBank content in classrooms, as homework assignments or as testing material and all of it is for free. Check it out and tell us what you think of the website.